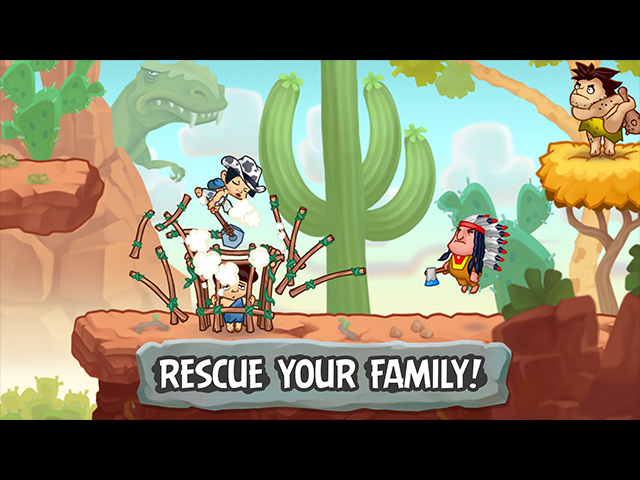 Help the heroine find her family in this action-packed prehistoric adventure! Run like a hurricane, smash foes with a club, ride pterodactyls, alligators and boars in this brand-new arcade runner. 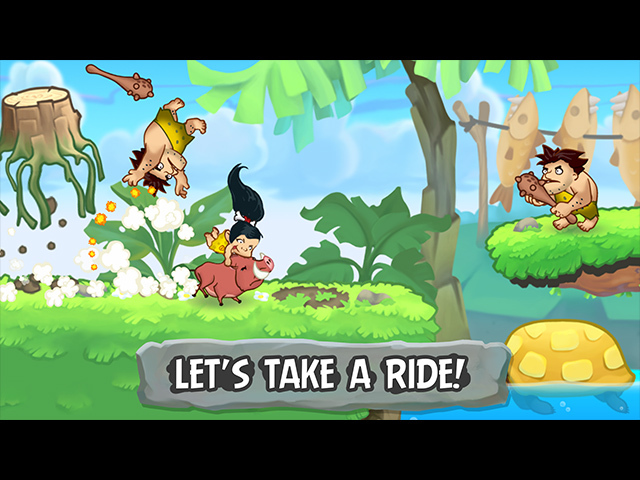 Journey through interesting and colorful levels set in the stone age bursting with life! While on your travels make friends with lemurs, gophers, turtles and other more! 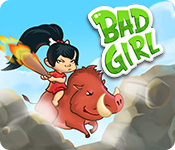 If you like Bad Girl game, click to start Bad Girl download. Sign-up to get informed when the Bad Girl series has new game released with BD Studio Games' FREE bi-weekly newsletter.